Head over to the Creative Responses tab to see the wonderful responses the TSBA readers had to the books. Some amazing, creative talent from our students. This part of the Award is one of our strengths and something that makes our Awards unique. Enjoy! For the first time, we have joint winners of the Trinity Schools Book Award! 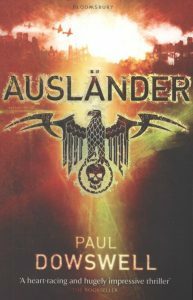 Students in over 20 schools took part in TSBA this year, and their votes have resulted in a tie for Ausländer by Paul Dowswell and Ink by Alice Broadway. 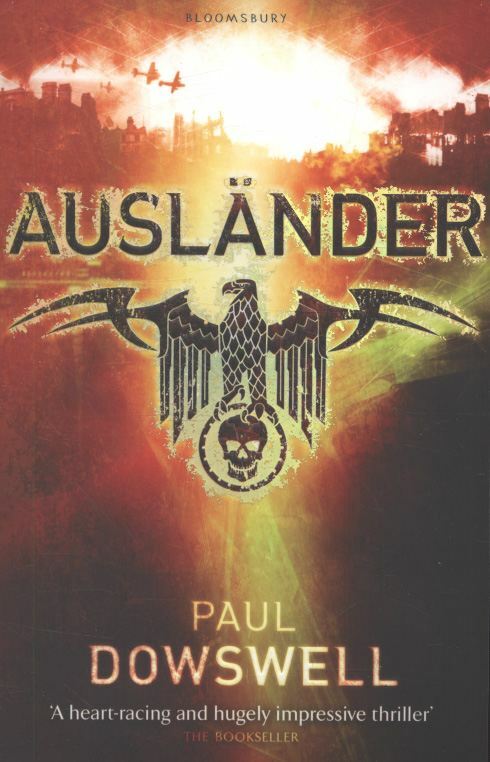 Ausländer is a historical novel about a Polish boy in Nazi Germany; whilst Ink is a fantasy set in a world where your life story is tattooed on your skin. Although completely different genres, both books fit this year’s theme of “Secrets and Lies” and captured students’ imagination. Congratulations also to our other four shortlisted authors, Nicholas Bowling, Frances Hardinge, Muhammad Khan and Kim Slater. We know all of your books were devoured and enjoyed, judging by the wonderful book reviews and truly creative responses they inspired for our student competitions. We hope that all schools enjoyed taking part, and we hope that you join us again next year! Update! new author attending the Ceremony! How exciting! 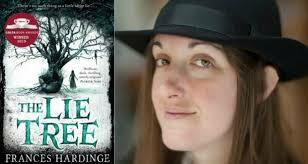 we have just heard that Frances Hardinge is able to attend the Ceremony, so we now have 5 out of 6 of the shortlisted authors, and a record for us! All the more reason to ensure that you book your school’s places at the ceremony now! This year’s ceremony is going to be held at Caterham School on March 15th 2019. 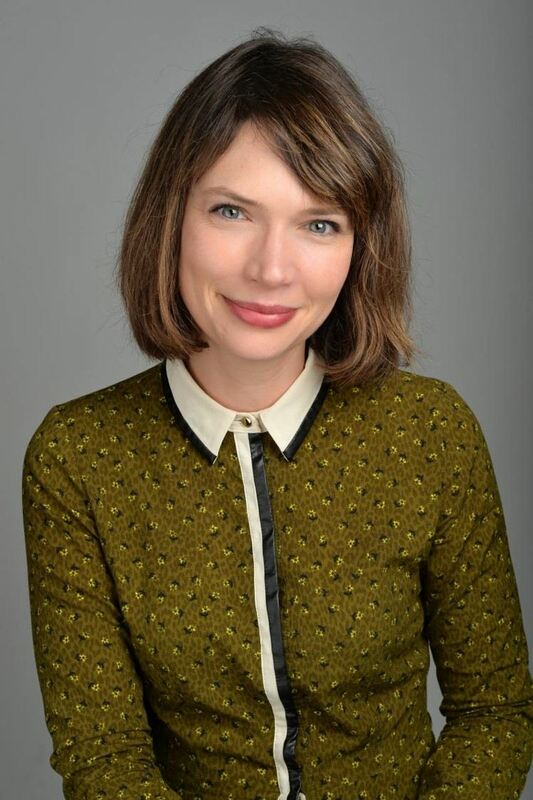 All of these four authors – Nicholas Bowling, Alice Broadway, Paul Dowswell and Muhammad Khan have confirmed that they will be attending the Ceremony. The Ceremony is a fantastic opportunity to see what other schools have been working on in their Creative Responses, and also to get the live results of our 2019 winner! 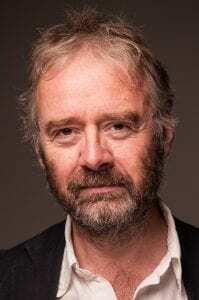 Secrets and Lies – Trinity School Book Awards 2019! 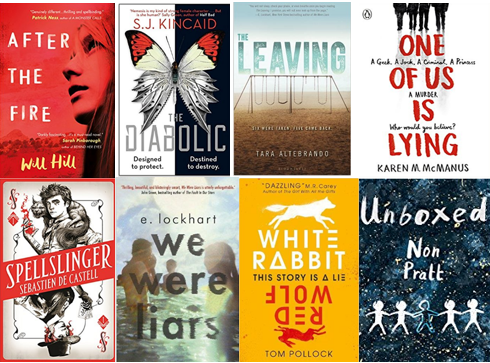 The TSBA 2019 shortlist has been chosen by the Award’s committee of school librarians, following nominations from the schools which took part last year, and what a great list it is! 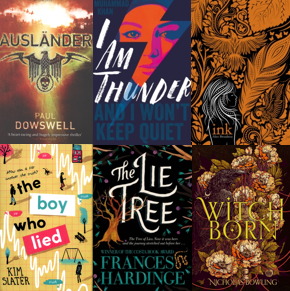 All chosen around the theme of Secrets and Lies, the books range from historical fiction (Ausländer, The Lie Tree and Witchborn), to the modern day (The Boy Who Lied, I Am Thunder) and fantasy (Ink). In all of these books you will find someone who is forced to live a lie, and has to confront it before they can live fully. We also have a great mix of authors this year, from debut novelists Muhammad Khan and Alice Broadway to the award-winning Paul Dowswell and Frances Hardinge. As always, all of these authors will be invited to the final Ceremony next March, and it will be exciting to see how many of them we will get to meet! The Trinity Plus list, which are the books we recommend on the same theme for extension and/or for older readers, is also very diverse. 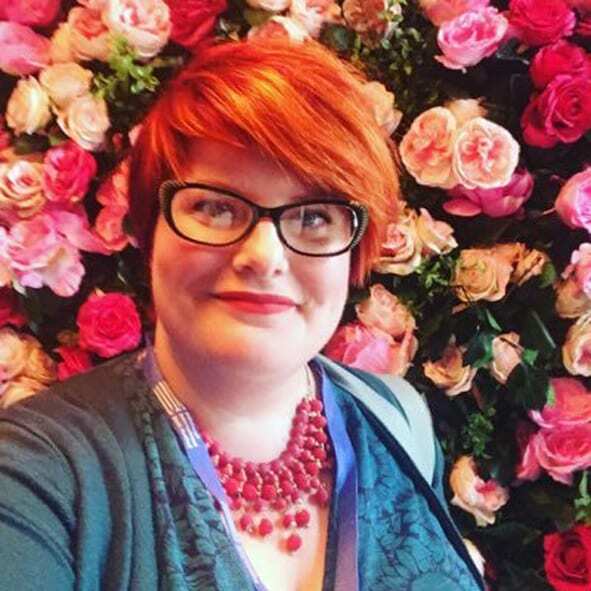 Featured authors include Will Hill, whose After the Fire was shortlisted for a Carnegie Medal and won the YA Book Prize 2018 and Tom Pollock who has appeared on Trinity Plus before, as well as six thrilling titles by other accomplished authors. 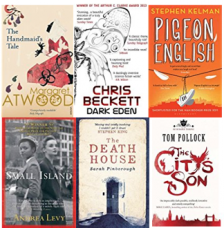 We hope you enjoy reading this selection of books as much as we did! Student winners of TSBA 2018! This year we had a very strong response to our Best Creative Response category, as well as Best Book Reviews. If you haven’t had a look at the Creative Responses yet, do have a look now! Congratulations to all of these wonderful student winners. Their prizes will be with them via their librarians soon. We are really disappointed not to have been able to award these in person, but the weather was against us this year. 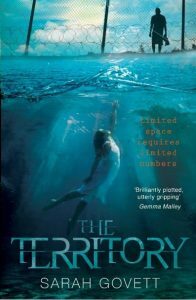 Up-and-coming YA author Sarah Govett has grabbed the 2018 Trinity Schools Book Award (TSBA) for the first novel in her critically acclaimed trilogy, The Territory. The Award was meant to be handed to her at the Ceremony at Emanuel School, but this had to be cancelled due to the poor weather conditions. 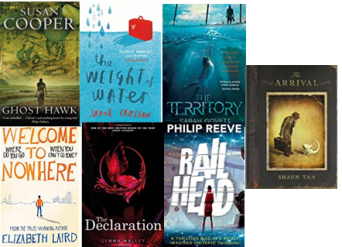 The Territory, the first in Govett’s dystopian series published by Cardiff-based Firefly Press, beat strong contenders including The Weight of Water (Sarah Crossan), Welcome to Nowhere (Elizabeth Laird) and Railhead (Philip Reeve) to claim the top prize. 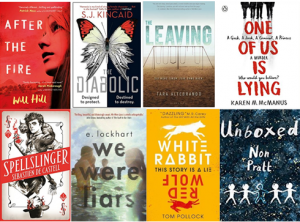 Now in its fourth year, the TSBA was launched in 2014 by librarians from 22 independent senior schools in the Trinity group, with an aim to celebrate quality writing in both new and older fiction. The TSBA Committee determines a theme each year and shortlists books nominated by librarians in the Trinity group. The theme for the 2017-18 TSBA was ‘A New World’ and this year 24 schools signed up to take part, including nine from outside the Trinity group. Secondary school children between the ages of 11 and 14 read the nominated books through the autumn and spring terms and cast their votes in February to determine the winner. Student competitions also run alongside the main book awards for the best book reviews and best creative response to a book, which included original animations, paintings, poetry, sculpture and models. The winners were announced on the blog instead of the Ceremony this year. The Ceremony is a celebration of the shortlisted books, as well as the students’ work, attended by the authors and student groups from the participating schools and was sadly missed this year. 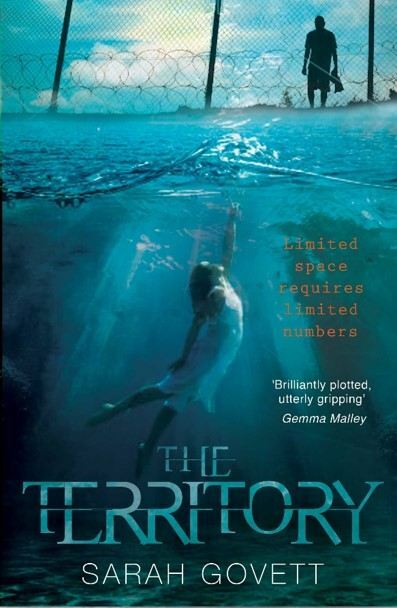 Hailed by a Guardian’s children’s book site critic as ‘the 1984 of our time’, The Territory was shortlisted in the Times/Chicken House Children’s Fiction Competition 2014 and named one of The Telegraph’s Best YA Novels of 2015. 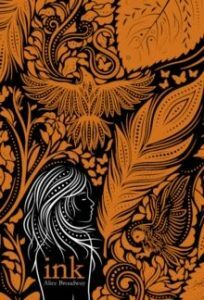 The Territory and the sequel Escape (2016) are both recommended Book Trust reads. The TSBA accolade follows Govett’s win of the Gateshead Book Award in January 2017. The much-anticipated finale in The Territory trilogy, Truth, is published on 29 March. Due to an unprecedented amount of snow, with the world outside looking like Narnia, we have reluctantly decided to cancel today’s TSBA Ceremony. With very many thanks to Tony Jones of Emanuel for putting such hard work into the Ceremony and doing everything possible to keep the event alive until the very last minute. The winner will be announced on the blog at 4 today, and the student winners at 4.30. In the meantime, enjoy the past years by looking at this wonderful video Tony and his students made.